The Court did not go on to decide whether the applicant had enjoyed a right to the effect that his wife be assisted in committing suicide (such assistance lying in the delivery of the drugs). It reiterated that there was no consensus among European states on any right of assisted suicide, and therefore refrained from pronouncing on the substantive question of such a right in this case. However, the Court did consider the procedural aspect of Article 8 ECHR. This requires that issues under Article 8 ECHR receive appropriate consideration by the courts. It also requires that every case be considered on its own particular merits, with little room being available for one-size-fits-all treatment through hard and fast rules (cf. Anayo v Germany and Schneider v Germany, read with para 53 of Koch). The violation of Mr Koch’s rights therefore lay not in the withholding of the poison as such, but rather in the refusal of the German courts to engage with Mr Koch’s case on the merits (para 72 of Koch). Now what does this holding entail for the substantive question of the right of assisted suicide? It entails, first of all, that the German administrative courts will (if approached, which is quite likely) have to reopen the case and consider it on the merits. The jurisdiction to reopen is provided by Section 153(1) of the Administrative Courts Act, read with Section 580 No. 8 of the Code of Civil Procedure, the decision in the applicant’s case having become res judicata only after the entry into force of those provisions (31 December 2006; Section 35 of the Introductory Law to the Code of Civil Procedure). 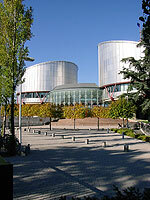 In substance, however, the Strasbourg Court has not moved the debate on significantly. It certainly has not revised its earlier position to the effect that there was no right of assisted suicide under Article 2, Article 3 or Article 8 (Pretty v United Kingdom, paras 40, 56, 78). Quite to the contrary: the Court has affirmed that there is no European consensus in this matter: Koch, para 70. What the Court has done, however, is require the domestic courts to address the issue on the merits. Moreover, it has given a right to seek a decision on the merits also to the spouses (and, probably, other very close relatives) of those who once wished to end their lives, and who have since passed away (in one way or another). This implies two holdings: (1) It does not matter that the case has become moot on the death of the person wishing to commit suicide, and (2) it also does not matter that the right of assisted suicide, if any, had vested in the deceased, provided that the surviving claimant had a sufficiently close personal relationship with the deceased and an interest in the issue. The position, then, is now as follows: The domestic courts must reopen the proceedings and decide whether there is or is not a right of assisted suicide. This right will not be one under the ECHR (see Pretty), but it might exist under domestic law. However, it might also not exist. The judgment in Koch is purely procedural and does not mandate any particular decision on the merits. The domestic courts are perfectly within their rights in deciding that assisted suicide is completely unlawful, or in holding that there is no such right for the time being (thus leaving the matter to Parliament, as in R (Nicklinson) v Ministry of Justice, discussed by Rosalind English at the UK Human Rights Blog). But they will have to form an opinion on the law as it now stands. While the judgment in Koch therefore does not itself make any bold (and possibly unwarranted) strides in the direction of a right of assisted suicide, it does require the domestic courts to make their voices heard. Moreover, it requires the courts to do this also in the – not completely unusual – situation in which the person primarily concerned has already died. The contribution of Koch to the discussion is thus an indirect one. The domestic judgments occasioned by Koch may well make more substantial contributions. This entry was posted in on International Law, on International Politics by Tobias Thienel. Bookmark the permalink.